MSRP: 29.50 Euro at one shop in Europe. These aircraft were designed in response to a US Navy request for an aircraft to replace the obsolete TBD Devestator torpedo bomber. Bearing a marked resemblance to the F4F-4 Wildcat, the TBF was capable of meeting the Navy requirements for a bomber that had a 300 mph top speed, internal bomb load of 2,000 lbs, a three-man crew and defensive dorsal turret. With its rearward-folding wing design and prototype proven performance, the TBF was ordered for production in December of 1940. The first aircraft were delivered to the Navy on January 30, 1942, and had by this time been christened with its official name "Avenger" in response to the attack on Pearl Harbor. Grumman Aircraft was producing sixty aircraft a month by min-1942, but the Navy required increased production and this was met by adding the Eastern Aircraft Division of General Motors to the program. These aircraft were identical to the Grumman aircraft and were designated "TBM". By the end of 1943 the Eastern Aircraft Division was the sole producer of Avengers and by VJ Day had produced over 7,500 aircraft. 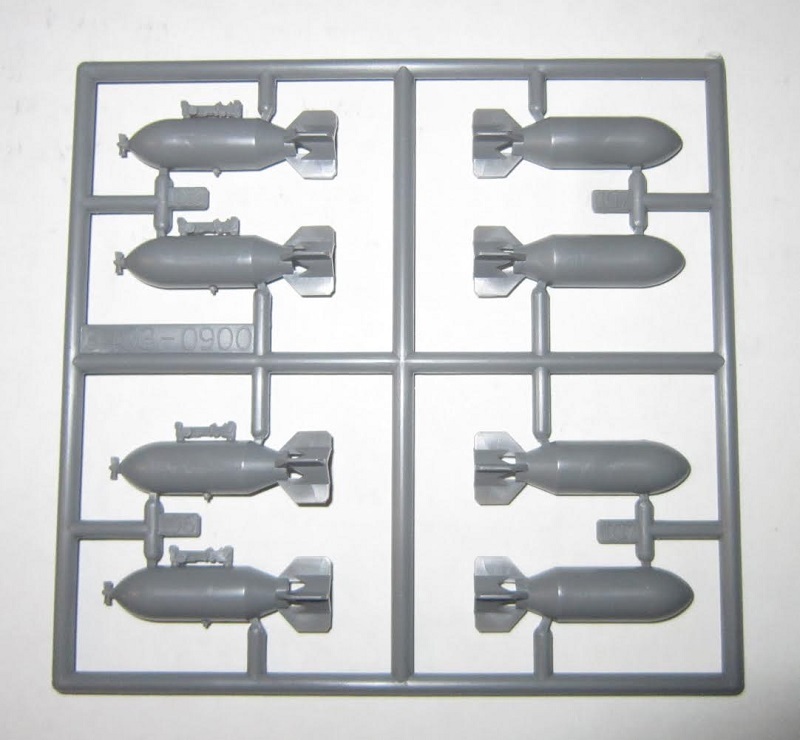 Accurate Miniatures is based in Charlotte, North Carolina. 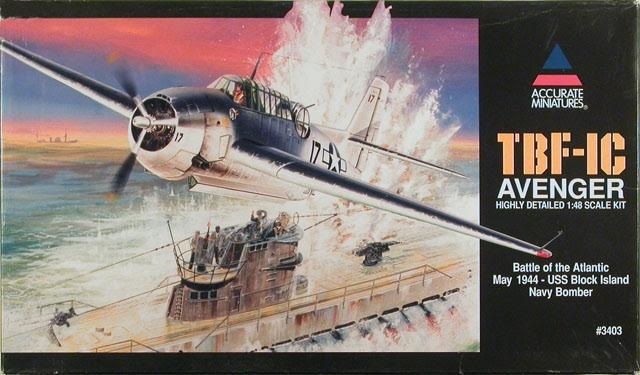 The box art shows an Avenger attacking a U-boat that is surfaced. The Avenger has a dark blue anti-glare panel that extends down below the cockpit. The upper wings are dark blue also. The rest of the aircraft is insignia-white. One side panel lists the kits features and contents in 3 languages, including English. 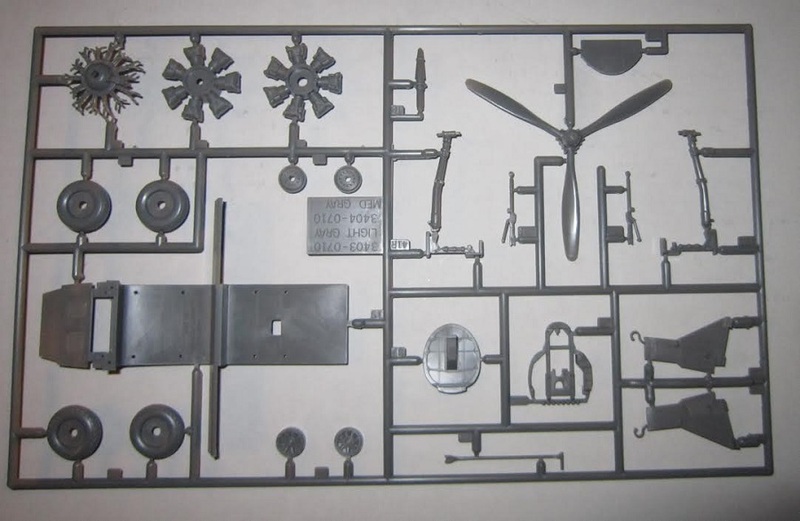 Accurate Miniatures streed address in North Carolina is provided over the stree address of International Hobbycraft (UK) Ltd. in England. 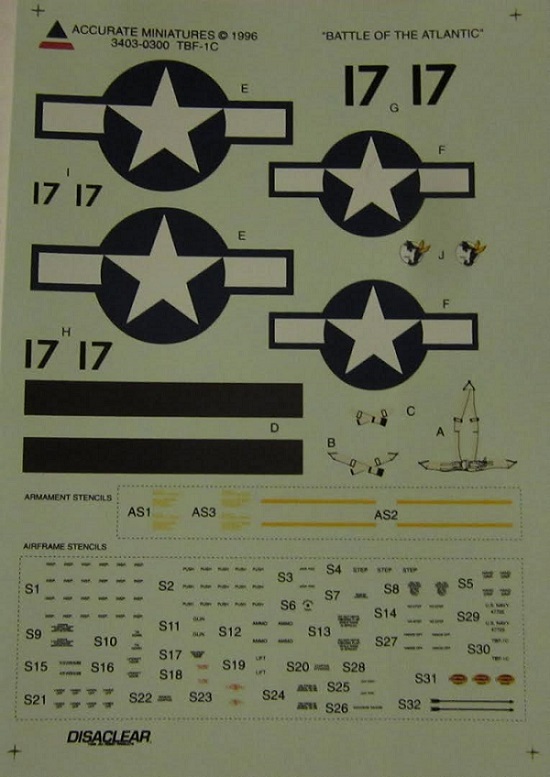 The kit was designed and packaged in USA, plastic parts were made in Korea, decals printed in Mexico. Truely a international cooperation !! The other side panel has one paragraph histories in 5 languages, each marked with a color illustration of the flag of the country that speak those langurages, including English. 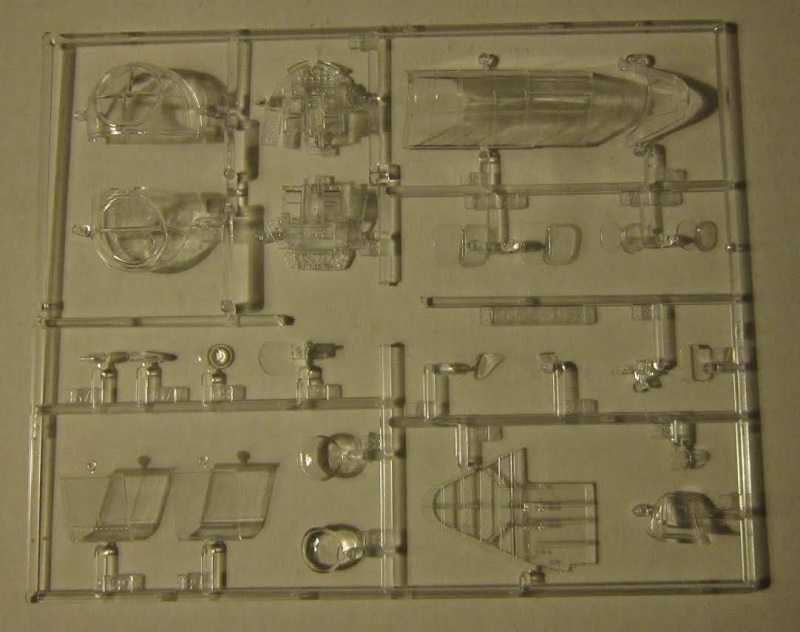 This kit contains 7 medium-grey parts trees in two sealed cello bags. Below a shelf in the bottom of the tray is the deal sheet and a clear tree in another sealed cello bag. The instructions complete the kits contents. It consists of a large single sheet that is folded in the center to create 4 pages in 17" x 11" page format, folded twice along the 17" to fit the box. Page 1 of the instructions begins with the history of the Avenger and its specifications. Spread across pages 1 and 2 are 8 exploded drawings for assembly. They only have the part numbers shown. There is no alphabetizing of the trees. A wartime grainy black and white photo of the aircraft carrier USS Block Island, with Avengers on its deck is at the bottom of page 2. Page 3 has 6 more exploded drawings. None of the drawings are sequence numbered. 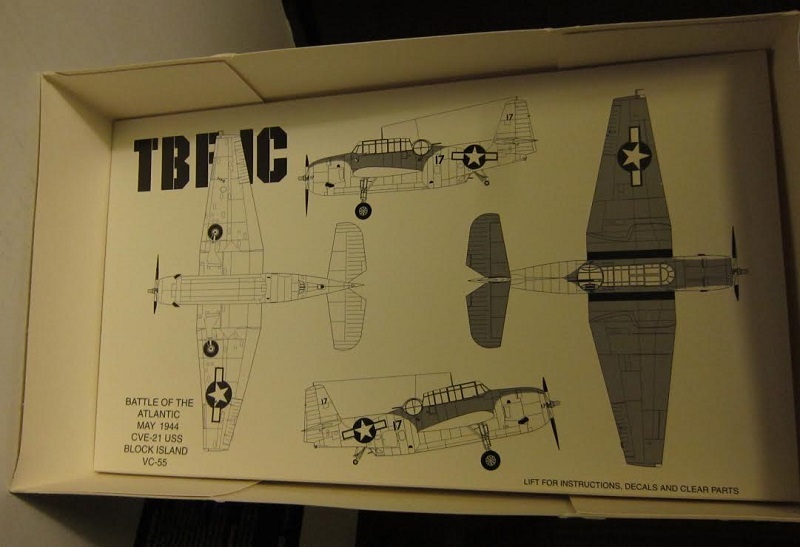 Page 4 shows the lone scheme provided, the box art one (already described above) as a 4-view. 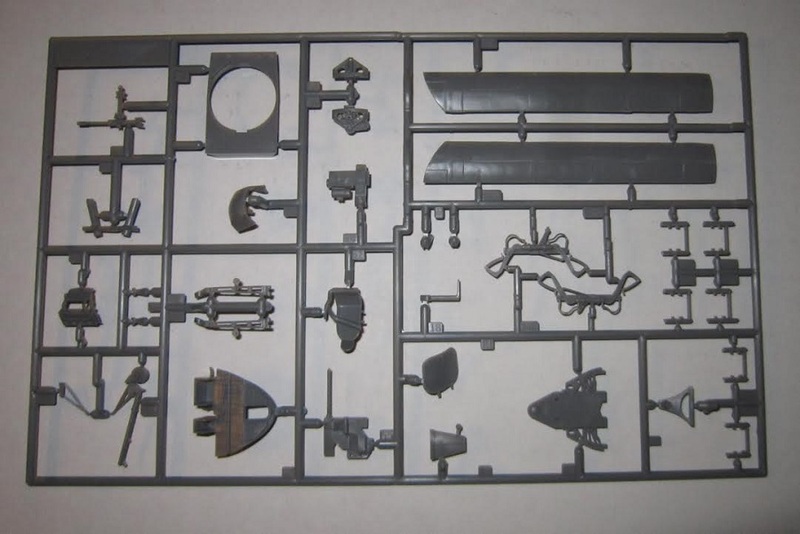 The painting instructions and a list of Model Master, Humbrol, Floquil, Gunze Sangyo, Tamiya, Polly Scale and Aeromaster brands of paints, including their FS numbers is at the bottom of the page. ​There are no parts trees illustrations in the instructions. The sprues are numbered, but like I said..not alphabetized. 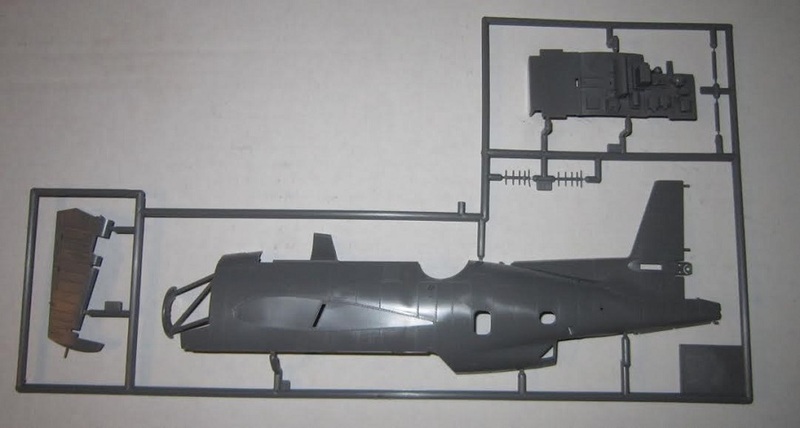 So, a lot of care and time must be used to get the correct parts for each assembly. Bad move Accurate Miniatures. 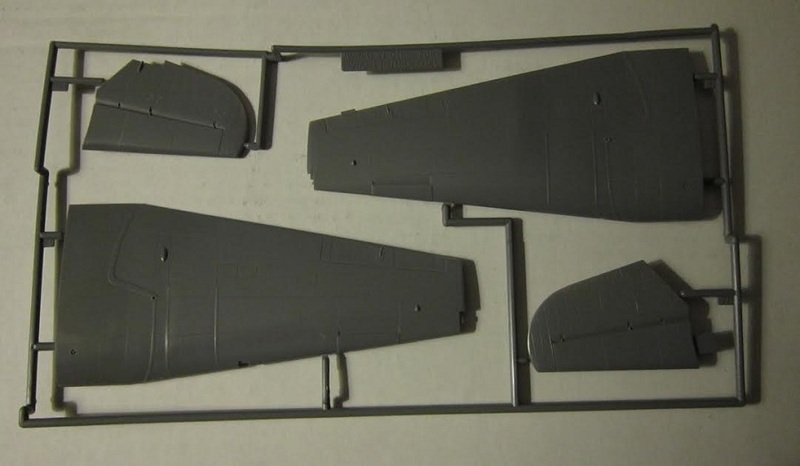 No crew figures are in the kit. 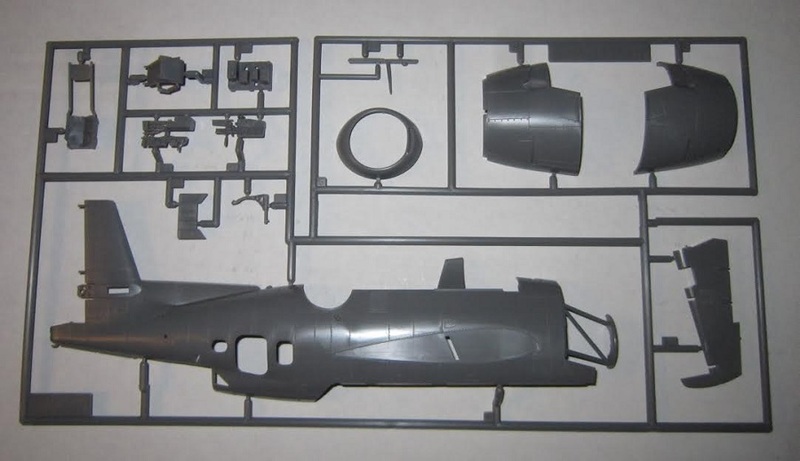 ​The decal sheet completes the kit's contents. It has the sole scheme markings and lot of stencil marks on it. 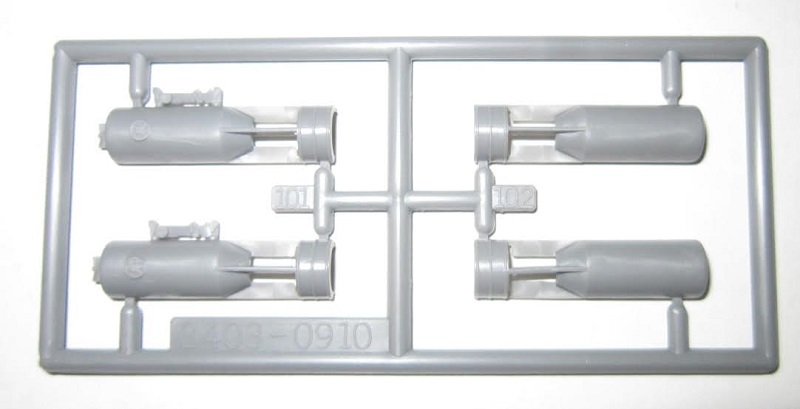 The shelf at the bottom of the tray has a color 4-view of the sole scheme in the kit. This is a very detailed model. Highly recommend. 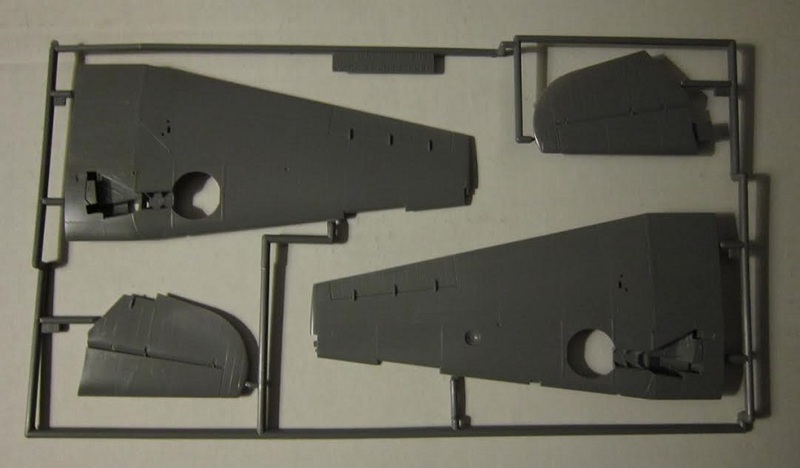 It can be built with the wings folded as an option.